TO HELP YOU GROW PROFITS WITH THE RIGHT TALENT DOING THE RIGHT THINGS. TO BE A VALUABLE MEMBER OF OUR COMMUNITY, WORKING TO ENHANCE ITS GROWTH AND QUALITY OF LIFE. 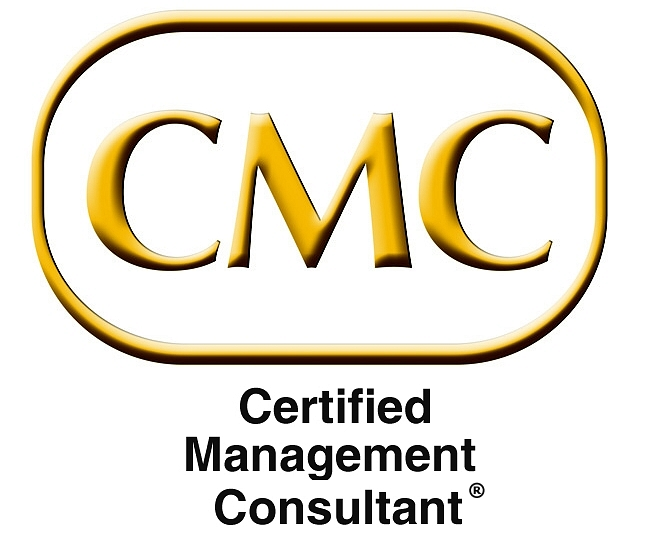 The IMCUSA CMC® certification represents the highest global standards and ethical canons of the profession. Fewer than 1% of all consultants have achieved this level of excellence. Click here to view the IMC USA Code of Ethics. My first official job was in my neighborhood drug store – a job that today is still one of my favorites. Predominantly young (high school and college) workers knew exactly what was expected of us with training and clear direction. I remember one of Mr. Brandt’s rules – the phone MUST be answered by the third ring. Years later, when standing in any business, I still get nervous after that second ring! The work environment was fun and we loved being there. So much that we'd visit even if we weren’t on the schedule. And if it was busy, we’d jump on a register to help out anyway. I thought that was what work was all about – you loved your job, knew what your role was and had a boss that cared about you as a person. I’ve been lucky that many of my jobs have been that way – until my last corporate position. After successfully moving up the ranks in pharmaceutical sales and management, I was promoted into a senior position designed to give me more experience in Finance and Operations. I found myself in the nightmare of a poor “job fit” with a boss who micro-managed, had constantly changing expectations and publicly attacked me in meetings. After 18 months in that poor fit position, I could no longer get motivated to go to work each day and sadly resigned. My engagement - total commitment, passion for the company and my job - was drained out of me by a bully boss. respect who they work for – because they believe in the company, what it stands for and who runs it. key actions to help managers lead and motivate employees to contribute and produce. Your business profits are directly tied to the performance of your people. I created The Get Engaged People System™ to help you with a blueprint to help who and how you hire - and to build and retain employees who contribute to your business growth and profitability. Today's workplace is multi-generational and each generation has unique strengths and challenges to understand and tap into. Millennials are not only a growing labor pool, but current and future leaders of your business. Together let’s build your “People System” so your employees refer to you as their best job ever, rather than their worst nightmare. Learn more about The Get Engaged People System™ for performance and profits. Call me at 866-373-0300 to set a time to talk about your unique situation.